This series of articles was originally written for UKC, offering information and insight into different aspects of training. In this blogpost, Tom talks about finger strength and gives you his top tips for improving and maximising your finger strength. Find the original UKC article here. Most climbers are pretty obsessed about finger strength. We all know it has a huge impact on climbing, whether bouldering, sport climbing or trad climbing. We are also all very aware that it’s not always easy to make progress consistently over the years! Many of the clients we work with find that a couple of years of finger strength gains come quickly as they either boulder more or they take their steps in training. 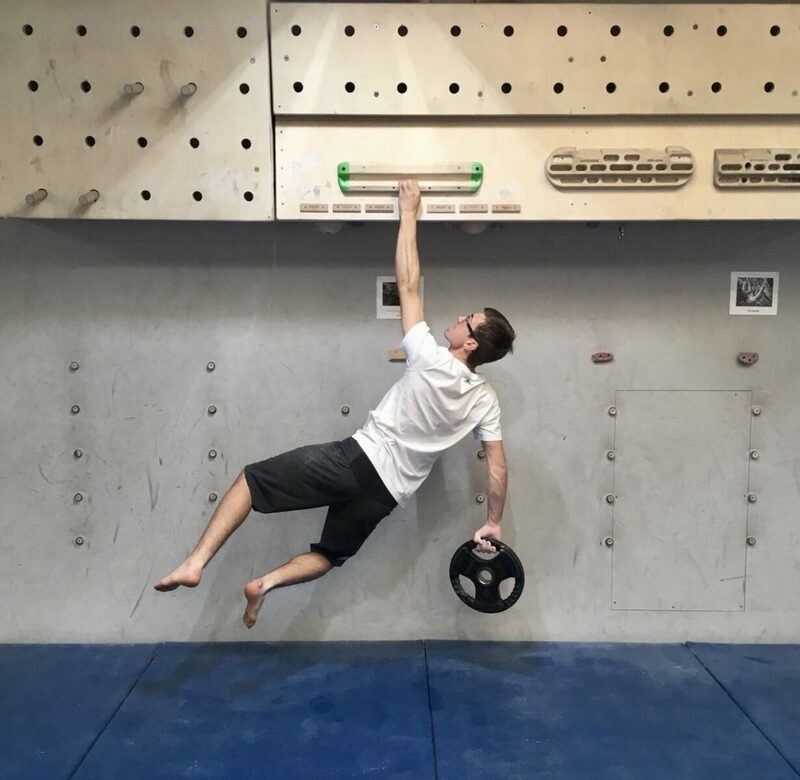 As we’ve assessed and worked with so many climbers of all walks of life over the years, we’ve really come to see some strong patterns associated with either excessively strong fingers or excessively weak ones! In this article, we’re going to have a look at some of the big areas that affect the extremes of physiology. But, before you delve into the article, I want to remind you that these are the outliers of strength! These observations are based around excessively weak/strong climbers and we don’t want people to get too demoralized when they see that one or two of these traits match up with their own climbing. Most likely, it’s not the end of the world, but you do want to be aware that they’re associated with these observations! 1. Eat well – Don’t get too skinny! Now this one is a big one and it’s difficult to generalise and not focus on those few examples that we might see as exceptions to the rule. One pattern we have observed over the years is that climbers who spend long periods of time in calorie deficit, with very low body fat percentages really struggle to make significant strength gains. 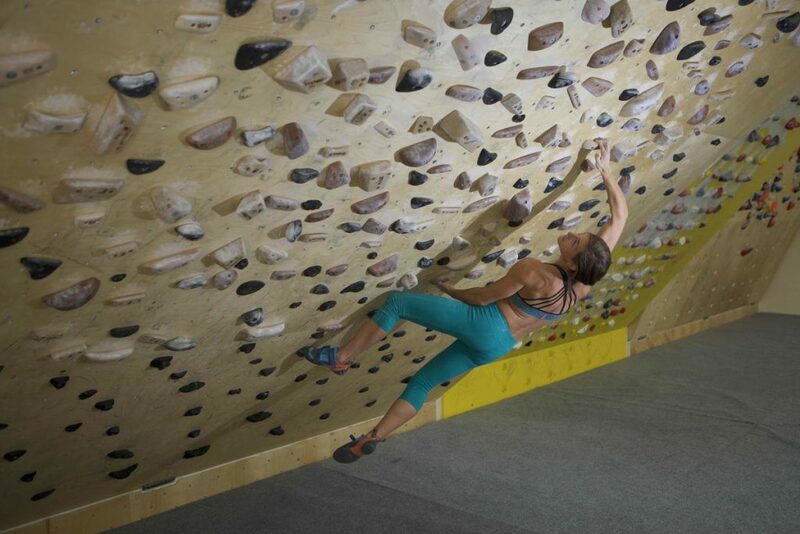 Those climbers are not coming through the long-term with excessively strong fingers or upper bodies. Yes, they can create the “effect” of high strength-to-weight (STW) by moderating body composition, but in the long run, it’s setting up any athlete for sub-optimal gains in strength. Those athletes we work with, who go forward year after year and absolute strength levels (exclusive of weight) continually improve, stay in a healthy athletic body composition. Some months back, we spent time looking at the data for BMI in our own athletes and also those across the 8a.nu database (there were issues with data granularity on 8a.nu for sure!) and we found NO significant correlation with performance. We’re all highly aware that this is a STW ratio sport, but getting increasingly light is a recipe for big issues in the long run. Rule 1: Long-term calorie deficits will not help strength! Ok, so this one is a bit of a contentious issue and one that comes with some major caveats. The methods that are used and the guidance that’s given should always be highly specific to the individual and under strict control for amount and methodology. Please don’t rush into this. We’d also like to add that if you’re in your 30s or 40s now, it’s not a disaster. Yes, you may not ever have the chance to reach your genetic potential, but that’s not a reason to give up before you’ve started. Rule 2: All fingerboard training should be under the guidance of a professional with appropriate experience and qualification. Rule 3: It is not a silver bullet for success. It’s just one part of the equation. If you look at many of the extremes of high finger strength scores that we see in athletes (especially >30yrs) then it’s closely correlated with concurrent periods of low volume of training. These individuals aren’t trying to cram in 10 sessions of climbing a week and going sport climbing all week and going for a jog each morning! 1. They love training at high intensity and they often obsess about operating at their last few percentage points of strength and power. 2. They are individuals who aren’t satisfied with moderate intensity sessions. Quality appears to be prioritised over most other things. 3. Dare we say it, they often have a bit of a moan about doing lower intensity, high volume training when we know it might be appropriate for certain goals! Now that we’ve looked at those habits and patterns associated with very strong fingers, let’s take a look at those surrounding excessively weak fingers. For years and years, we’ve all been wondering why certain groups of people respond quite quickly to finger strength training and others seem to struggle year after year. Sound familiar? Of course, there are always exceptions to the patterns observed (hopefully you’re one of the lucky ones!) but there are also some very good “rules of thumb” to stick to and stay consistent with year in, year out. If you want to make gains in finger strength, you really cannot be leaving your fingerboard training until the end of the session! If you want to make lasting gains to finger strength, you need to prioritise that form of training at the start of a session once you’ve warmed up. Yes, even before you start a high-quality system board session or onsighting session! If you’re wanting to stimulate the muscle (or nervous system) to make adaptations, you have to be operating at an extremely high intensity. Go too low and you’ll simply fail to stimulate a physiological response that you’re looking for. 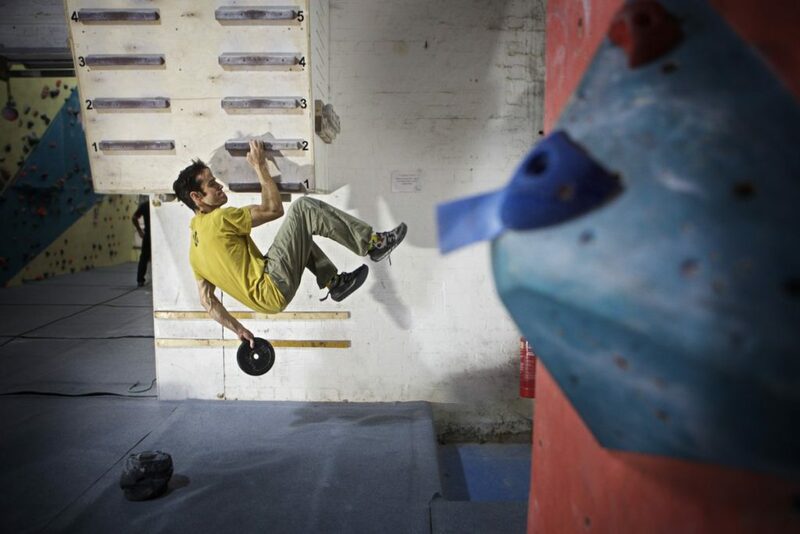 Too many climbers flit around different methods for training finger strength too frequently. One week they’ve done 2 sessions of max hangs, the next week it’s heavy finger curls and the next it’s campus boarding. If you want to make improvements (especially if you struggle with finger strength!) then you will have to be consistent with your methods. Stick to one (or two if you’re able to handle the training load) method for 6-12 weeks and then assess yourself to see if you’re experiencing the adaptations you hope for. Training twice a week for 6 weeks is only 12 sessions in total, so do keep reminding yourself that “consistency is key.” Focus on a high intensity, set movement and consistent muscle group – change it up after a while though! Rule 1: Stick with a method for 6-12 weeks, but don’t get hung up on it for too long! Now this one is another big one! In our experience, this comes in two forms; one being too much work and career pressure, the other being too much external physical pressure from other sports. We consistently see those who have very hectic and exciting jobs struggle with strength and likewise, those who love doing lots of other sports… especially the endurance pursuits. Yes, you runners out there are not going to have an easy time! We know that for the vast majority of us, it’s unlikely we’re going to change our careers or give up our hobbies but there are a few little tricks to mitigating these factors. Firstly, on the career front, think about doing split sessions across the day so that all of your mental energy doesn’t need to be saved for the evening. Also, you should think carefully about taking on heavy training cycles whilst in the middle of massive work projects or setting up a new business – let’s be realistic and kind to ourselves! Secondly, on the sport-hobbies front, we should consider cutting our weekly mileage (or time) on those sports down by at least 50% if we want to make gains on strength. Ok, so I found the information about the training order very interesting. How much more effective is training at the beginning of the session? How come training at a very high intensity at the end of the session doesn’t produce the same effects? This is due to fatigue throughout a training session increasing. High intensity training to improve such things as strength, power and aerobic power require a high intensity of activity. If you are already fatigued, you cannot maintain a high intensity of climbing and therefore reduce the stress placed on the structures of the body which we want to make adapt. In addition to this, athletes experience fatigue which dampens their co-ordination. This can reduce the movement economy/execution of an exercise which reduces the ability to perform the exercise. In terms of consistent finger strength protocols, would you (in general) advise to to several 4-week cycles (+1 de-load week) of max hangs, or vary max hangs with repeaters after each 4or5 week period? This really depends on the athlete and their aims. We like to use a mixture of both max hangs and repeaters throughout the weeks mixing up the size of holds also to create the best adaptations. Generally, it’s worth trying several combinations to work out what’s best for you. The cycles you suggest are a standard of ours however. A nice rule of thumb is to keep using the same protocols until you plateau and then change things up.